warning: Creating default object from empty value in /home/freesoul/public_html/news/modules/taxonomy/taxonomy.pages.inc on line 33. The seeds he planted are still bearing fruit!! 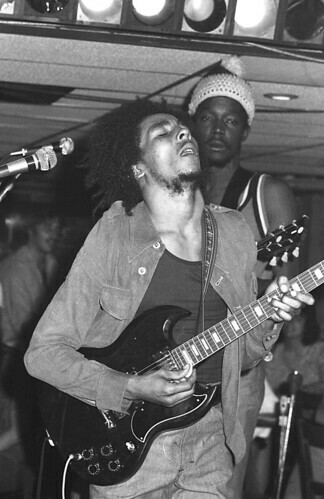 Here are the Wailers playing 'Stir it Up' at Paul's Mall in Boston from 1973. It was recorded on July 11, 1973 during the band's Catch a Fire tour. This was the first concert played by the Wailers in the United States, and was the first night of five consecutive shows in Boston, before going to New York City to open up for Bruce Springsteen (at Max's Kansas City). This recording is one of my favorites from my collection of live Bob Marley concert recordings...I hope you enjoy it!